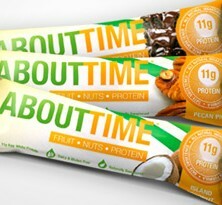 Fruit, Nuts & Protein bars are great as a snack or a meal replacement and give your body tons of clean protein. 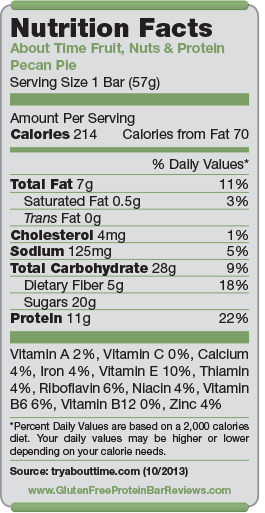 Nutrition facts based on Pecan Pie flavor. Facts and ingredients vary by flavor. 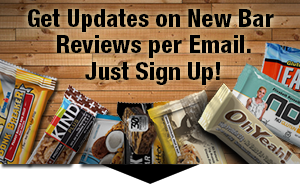 In 2008, fitness professional Sean Marszalek and food science expert Devenee Schumacher looked around at the growing number of protein supplement products, and didn’t like what they saw. Too many artificial ingredients, artificial sweeteners, inferior protein concentrates, and very few options for people with certain dietary restrictions such as diabetes. Frankly, Sean couldn’t find anything in the market that he could recommend to his health-conscious clients. That’s when they decided, it’s About Time.